"Pacifism typical of the late last century is no longer and is unlikely to be." 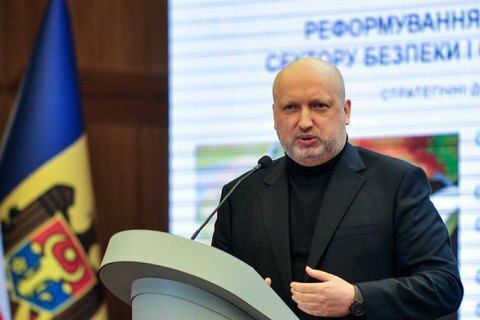 The secretary of the National Security and Defence Council of Ukraine, Oleksandr Turchynov, has said Ukraine needs to create strategic deterrent weapons. "We are facing a very serious task. Until Ukraine becomes a member of NATO, and this is not a short-term prospect, we have to rely on our own strength only. What could stop an aggressive nuclear country from a large-scale invasion? Only modern, powerful deterrent weapons. Whether our partners like this or not, but we have to develop strategic weapons, weapons which could effectively destroy the enemy at any distance," he said in an interview with Interfax-Ukraine. He suggested that "pacifism typical of the late last century is no longer and is unlikely to be". "The Budapest Memorandum, which gave us security guarantees in exchange for nuclear disarmament, is not worth the paper it is written on," Turchynov said. In his opinion, no-one has "either moral or legal right" to keep Ukraine from implementing this initiative. "This is my position," he added. Earlier, he said that Russia had been reinforcing its airborne capability in the Sea of Azov.